Choosing a spinning wheel can be intimidating. Not only is it a substantial financial investment, it’s a lot like choosing a partner: different wheels will have different characteristics that may or may not mesh well with what you need. You and your wheel will spend many hours working together towards a common goal, so it’s important to make sure that you find a tool suited for the spinning you expect to do. Your wheel needs to feel good, make your life easier, and it certainly doesn’t hurt if you like the way it looks. But where does one begin? If you’re a newer spinner, how do you even know what you want? Discover Your Options When you begin to shop around, you’ll notice that spinning wheels vary in a few keys ways, namely: style, portability, materials, drive ratios, number of treadles, orifice type, and tension system. The Woolery’s website is an excellent resource for getting a sense of what’s out there, and it even includes some videos so you can watch different wheels in action. I’d also recommend reading expert-spinner Abby Franquemont’s blog post on choosing your first wheel. Style: Saxony and Norwegian wheels are arranged horizontally with the flyer and bobbin off to one side and they often have a very classic look. Castle wheels are arranged vertically with the flyer above the wheel and they can have either a classic or a more modern look. Portability: Some wheels are small, lightweight, and portable while others are not. Castle or modern wheels tend to be smaller and many are designed to fold for traveling. Increasing portability can sometimes decrease stability, depending on the wheel. Materials: What a wheel is made of will impact its look as well as its portability and durability. Wheels can be made of everything from hardwoods to MDF, resin to plastic. My first wheel (a Babe Double Treadle Production) was made of PVC pipe which certainly had its advantages: it was lightweight and relatively indestructible; I did not worry at all about damaging it when I brought it to meetings or spun with it outside and it required very little maintenance. Drive Ratios: The number and range of drive ratios will directly affect the kinds of yarn you can produce. Drive ratios are determined by the size of the fly wheel in relation to the whorls on either the flyer or bobbin, and represent the number of twists imparted to the yarn with every treadle or revolution of the wheel. (I explain this in greater detail elsewhere.) Higher drive ratios (like 15:1) will add more twists per treadle and spin finer yarns or shorter fibers. 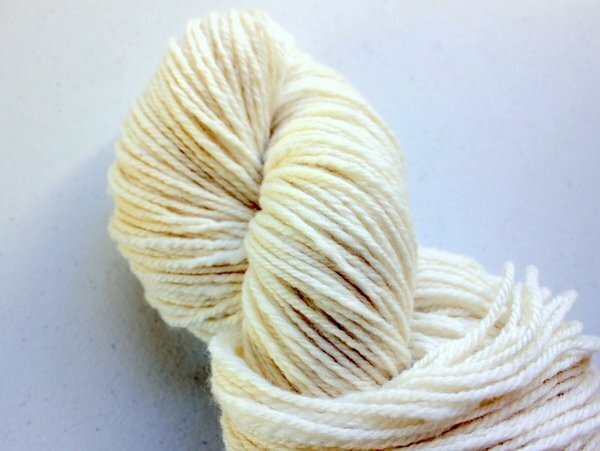 Lower ratios (like 6:1) will add fewer twists per treadle and spin bulkier yarns or longer fibers. Number of Treadles: Wheels come with either one treadle (foot pedal) or two that turn the fly wheel via footmen. How many you need is a matter of preference and ergonomic comfort for your body. I prefer two but there is no rule to which is best. Orifice Type: The orifice is the hole through which the yarn travels to wind onto the bobbin. I figured most wheels had a small hole and that was that. 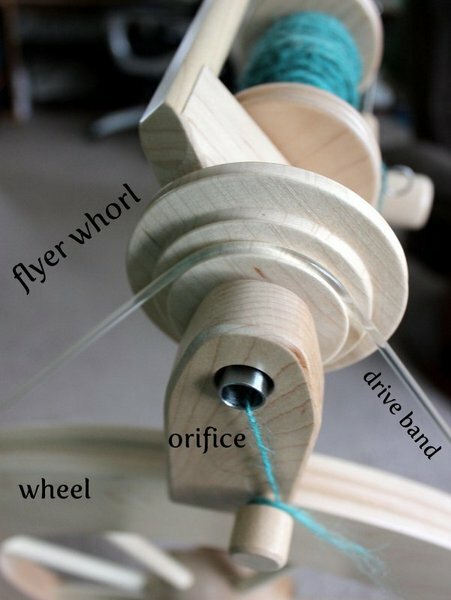 However, some wheels (like Majacraft) have delta orifices (a triangular bar in front of the flyer) and others have much larger openings that don’t require the use of an orifice hook to thread the yarn through. The height of the orifice off the ground can also impact your spinning posture. Delta orifice on a Majacraft Pioneer. 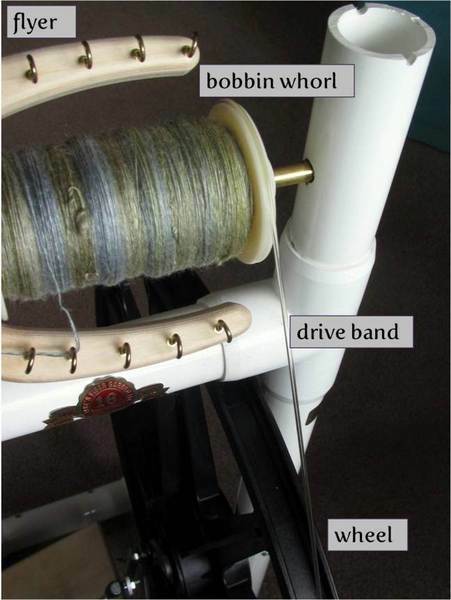 Irish tension / Bobbin-lead: This type of wheel has the whorls on the bobbin, such that the drive band directly turns the bobbin and the brake band puts resistance on the flyer to allow the yarn to wind on. 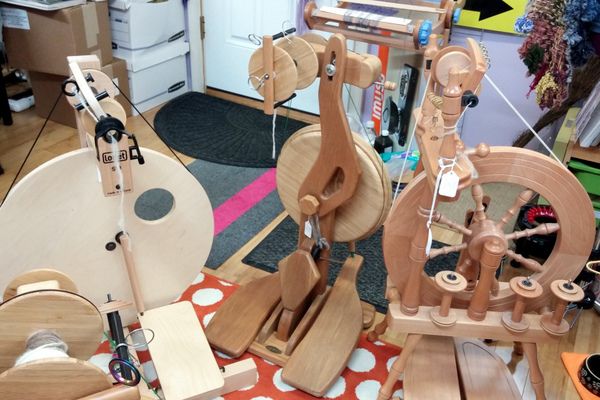 Irish tension wheels are simple to use and easy to treadle, but they do not have the gentlest take-up. This means that they pull rather strongly on the yarn coming through the orifice which can make it difficult to spin extremely fine yarns. This stronger take-up makes them ideal for longwools and for plying, and I believe they make good beginner wheels. My first wheel, the Babe, was Irish tension and its simplicity served me well as I was learning. Scotch tension / Flyer-lead: This tension set-up has the whorls on the flyer so the drive band turns the flyer and the brake band slows the bobbin. This configuration is more sensitive than Irish tension so it allows a finer adjustment of the brake band and subsequently the take-up strength, which improves comfort while spinning fine yarns. However, the drawback is that you will likely need to adjust the brake band as the bobbin fills up, since the change in diameter changes the physics of how the yarn is winding on. Scotch tension set-up on the Lendrum DT. Double drive: These wheels have one long drive band that is doubled up around the fly wheel such that two loops go over the bobbin and the flyer. Through the magic of physics, this set-up allows for the most consistent pull-in that does not need adjusting as you go, but can be finicky to adjust initially. I do not have personal experience with double drive wheels because when I went to a shop to try some, the person helping me couldn’t get the tension set up properly. However, my impression is that double drive wheels offer a lot of flexibility and some models can even be converted to Scotch tension, further increasing your options. Play the Field During my search, I created a spreadsheet within which I recorded all of the things I wanted to compare from the product descriptions at The Woolery, which included: wheel maker, materials, price of wheel, price of additional bobbins, drive ratios, tension system, and accessories included in the package price. I browsed Ravelry for wheel reviews and recorded comments from other spinners that detailed what they loved or didn’t love about a particular wheel. I knew I was interested in an upright/modern style wheel for space concerns, and I didn’t particularly want a folding wheel as I was more interested in stability. Aesthetically, I wanted a more modern style and a more solid material than plastic so that the wheel would feel substantial. 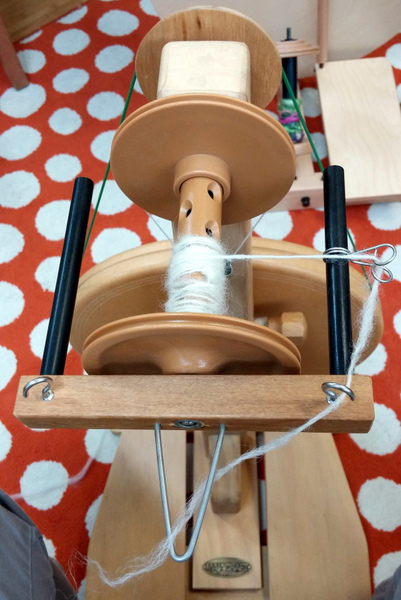 Functionally, I wanted either a Scotch tension or double drive wheel as I felt that the strong take-up of the Irish tension wheel I had was limiting my spinning. After gathering data and determining options, the only thing left to do was try some wheels. Giving the Schacht Ladybug a spin, with the Lendrum DT behind me. I traveled to shops up to 2 hours away to try a good variety of wheels. 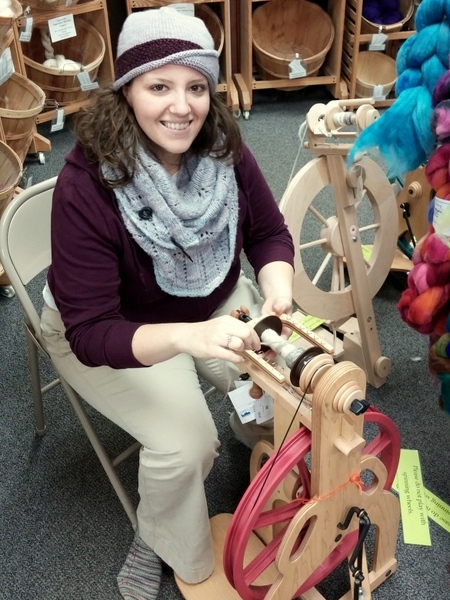 If I had been more patient, I could have waited until a guild meeting or a fiber festival to try several wheels at once. I can’t stress enough how important it is to try the wheels in person. In photos, I did not like the angle of the Lendrum DT and I thought its style was somewhat boring, while in person I found the angle to be quite convenient and its clean lines to be simply lovely. Both the Schacht Ladybug and Schacht Sidekick seemed larger and more solid online than they felt in reality, and while they are popular wheels, they weren’t what I was looking for. From reviews and other spinners’ comments, I had expected to adore the Majacraft Pioneer, but it turns out that that I strongly disliked spinning with the delta orifice as the triangular point was all wrong for the angle at which I was comfortable spinning. While I loved the wheel otherwise, the orifice type—which I had barely considered before—ended up being the tie-breaker of my search. The Honeymoon Period Ultimately, it was the combination of tension system, aesthetics, ease of use, and value that led me to choose the Lendrum DT. I particularly loved that the complete package came with three flyers (fine, regular, and bulky) that expanded the drive ratio options from 5:1 to 17:1. With so many options and with the more adjustable Scotch tension system, I felt like it would serve whatever spinning need I encountered. While it is a folding wheel, it is made from solid maple and is plenty sturdy. Finally, it was simply comfortable for me to use. Of all the wheels I tried, it was one of the few I sat down to that required no fiddling or physical adjustment on my part: I sat and spun smoothly from the get-go. The first skein of yarn spun on my Lendrum DT. I couldn’t be happier with my new addition and look forward to many years of peaceful spinning with it. 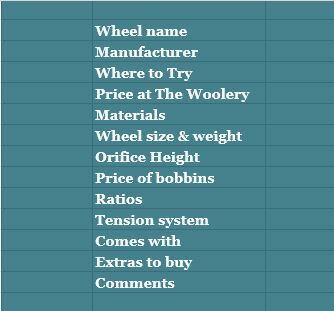 I hope that laying out my thought process will help you think about different things to consider when finding your perfect wheel. If you’re still overwhelmed, then just try whichever wheel appeals! The most important thing is that you look forward to using it. And remember, nobody said you had to own just one. 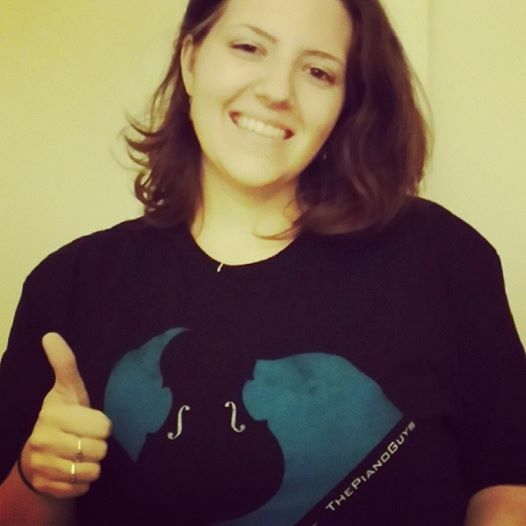 Alicia Morandi lives in Rhode Island with her husband (a.k.a. the Fiasco) and two feisty cats. She works as a biologist by day and she knits, spins, blogs, and creates natural body care products by night. You can read more about her fiber exploits at Woolen Diversions and peruse her handmade lotion bars featuring the sheep-y goodness of lanolin at Sweet Sheep Body Shoppe.